We bring you our second installment of ‘Living in the Sky’, a round up of all the residential skyscrapers, supertalls, and highrises set to change our skyline. From the 1930s to ’50s Automats were a New York City dining staple for a hard-working lunch crowd, a modernist icon for a boundless machine-age future. We take a look back at the famed automats of Horn and Hardart. Looks like Lauren Bacall’s Dakota apartment will go for a jaw-dropping $26 million. We knew Woodstock was home to a lot of creative types, but we didn’t know it was this creative. 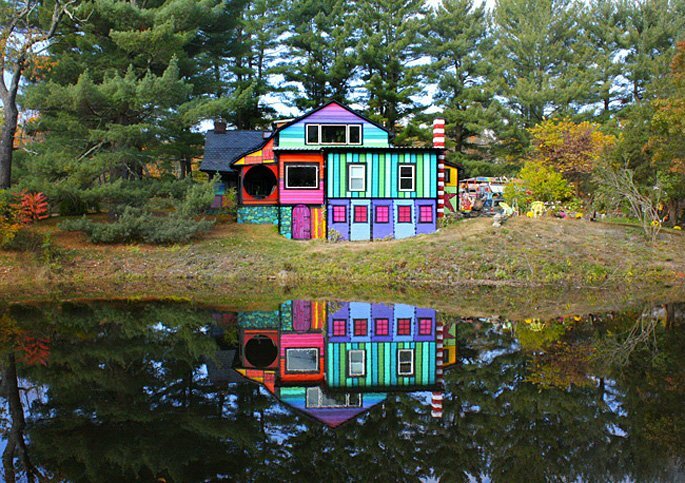 You’ve got to see artist Katwise’s psychedelic, rainbow-colored home. The developers of Long Island City graffiti mecca 5Pointz want to trademark the 5Pointz name and use it for their new residential towers at the site. Needless to say, the artists are NOT happy.